Good news now for those who love to own a Xbox gaming console, Microsoft has utilized the E3 event to announce the newly redesigned Xbox 360 console for all gaming enthusiasts. If you realize, Microsoft doesn’t seems to have major upgrade to its console since five years back when its original console was launched. And in order to stay competitively in this market space, there is always a need to either upgrade its hardware specification or bring the cost further down, trying to compete against Sony PS3 and Nintendo Wii in this competitive market space. 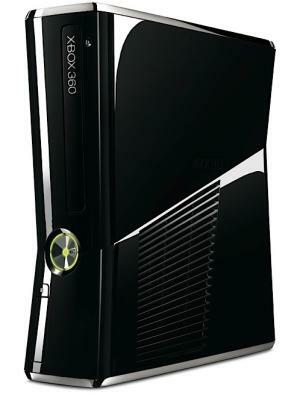 The new Xbox 360 console has been shrunk down in terms of physical form factor, with sleeker and stylish outlook as compared to its previous models. Surprisingly, the new model has been integrated with an internal removable 250GB hard disk drive for storage usage, five USB ports for expandability regardless of its smaller size. And in order to add more value, the manufacturer has enhanced it with built-in 802.11n Wi-Fi module for wireless connectivity. That is not all, the whole system is claimed to be more quieter with fan-less design suitable for living room. Priced at $299, the new console is estimated to arrive consumer market by end of this week. And by having such an attractive price tag for the new product, both the current Xbox 360 Elite and Arcade are expected to be revised to $249 and $149 respectively.